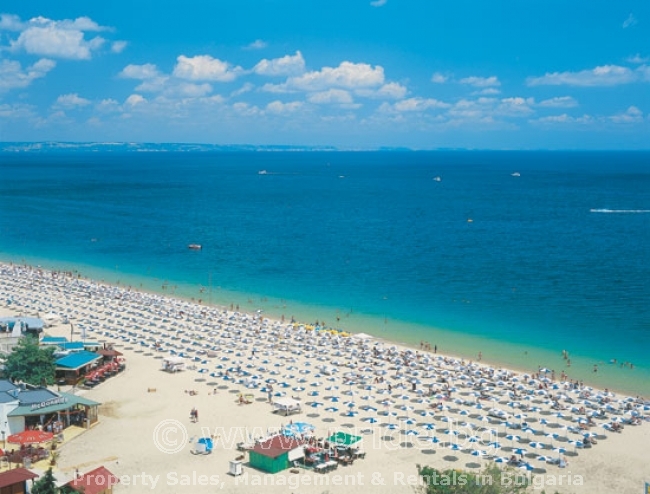 Holiday in Bulgaria this summer and you will soon be soaking up the sunshine on the Blue Flag beaches of Golden Sands. Take the chance to try some of the water-sports that are on offer, enjoy a cruise along the coastline, visit one of Bulgarias beautiful monasteries or head inland to the Balkan Mountains. Bulgaria also bursts with colorful local customs, so try to catch a folk festival with music, singing and dancing, all in traditional costume. The apartment is located in a new building in the center of Golden Sands. The complex is centrally located and comprises of five modernly designed buildings, approximately 100 m away from the golden sandy beach. You can easy get to restaurants, shops, bars, clubs, pharmacies, casinos, aquapark... All apartment buildings share one reception and have separate lobby and lift. The apartment is fully furnished with everything what you would need for a perfect holiday. There is a double bed in the bedroom which can be separated in 2 single beds. The living room has a sofa-bed, TV, Air-Conditioner, dining table with 4 chairs. The kitchen includes, oven, hob, fridge, kettle, toaster, coffee machine, utensils ... Small table with chairs are on the terrace which is overlooking the internal garden areas of the complex. Wi-Fi is provided in the apartment. Golden sands is famous with its nice golden sand and long beaches. The Bulgarian Black Sea coast enjoys a mild exteemely rare. The Black Sea beaches are covered with crystal clear sands. 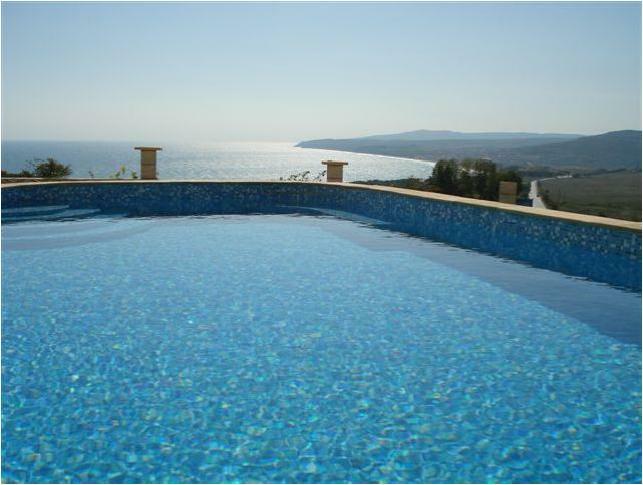 Because of its natural beauty, Bulgarian Black Sea coast has become famous international resort area. The Golden sands resort is 18 kilometers north of the city of Varna and near the Golden Sands National Park. It is a magnificent resort, the largest one on the Northern Black Sea coast, with richly wooded hills, white golden beach and clear blue sea. There are a lot of very famous and ancient mineral water springs, which have a flow of 150 m/sec and were known already to the Thraciains and the Roman Caesars. The resort’s beach strip is 3,5 km. long and up to 100 m wide. The average air temperature in Summer is 27-30 degree and the water temperature is 25-28 degree. Golden sands suits both sun-worshippers and sightseers being near by Varna - the second largest town in Bulgaria, the pearl of the Bulgarian Black Sea coast with a great number of places of interest. The resort has wonderful conditions for recreation, entertainment, sport and spa treatment. It is a paradise for children and restful holiday for parents. It has been awarded the prestigious Blue Flag international ecology prize several times.